The holiday season is full of challenges—gift shopping, family gatherings, and preparing food for a crowd, to name a few. But Christmas baking shouldn’t be one of them. 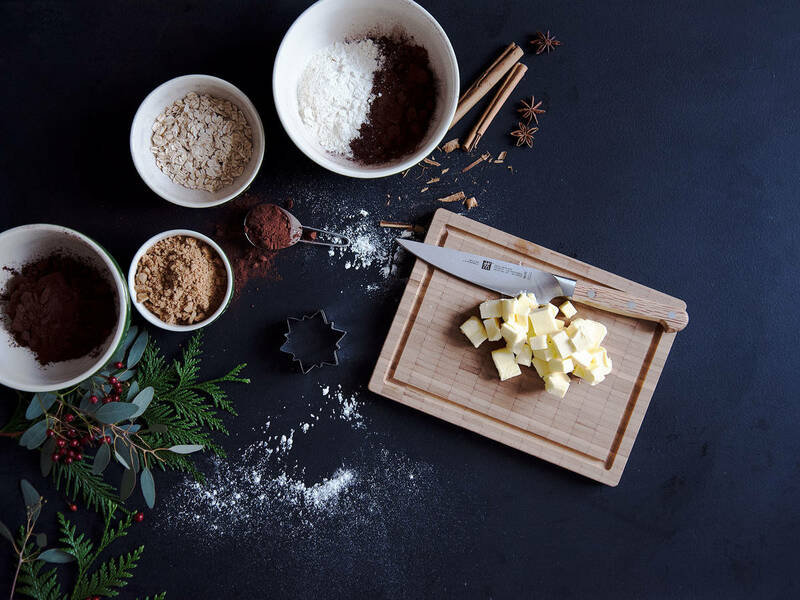 One of the most common mistakes when it comes to cookie-making is starting with the wrong temperature butter; room temperature butter allows for better emulsification, which results in a better overall texture of the final product. But so often, we forget about taking the butter out of the fridge before it’s too late (and who likes to wait when you’ve already decided to begin)? Cutting the butter into small cubes means that the core temperature of each piece will warm up faster. After dicing the butter, simply place it in a warm spot to soften while you take care of other ingredient prep. Another speedy trick is to trap the butter in a mini incubator. All you’ll have to do is fill a glass with boiling water, then drain and pat it dry. Set the warm glass over a plate of diced butter. The warmth of the glass will help to soften the butter even faster. Have some frustration to let out this holiday season? We’ve got the perfect solution for you! Transfer your butter to a plastic bag, seal, and lay flat. Use a rolling pin to beat and roll the butter until flattened and soft. Voilà! Are you feeling better already?